General Motors is a multinational corporation headquartered in Detroit that designs, manufactures, markets and distributes vehicles across the world. There are currently more than 4,000 dealerships in the United States branded as Chevrolet, Buick or Cadillac. 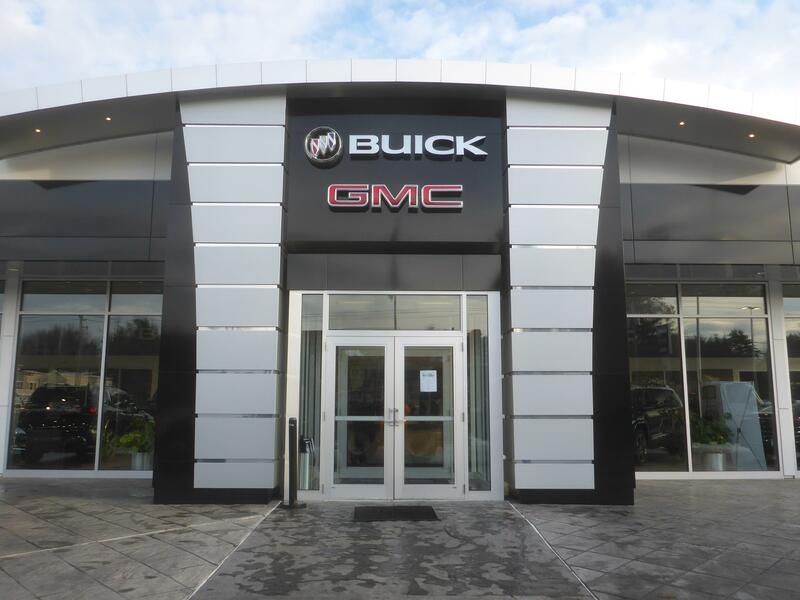 With more than 4,000 dealership locations across the United States, General Motors had a lot to think about when it came to branded signage. 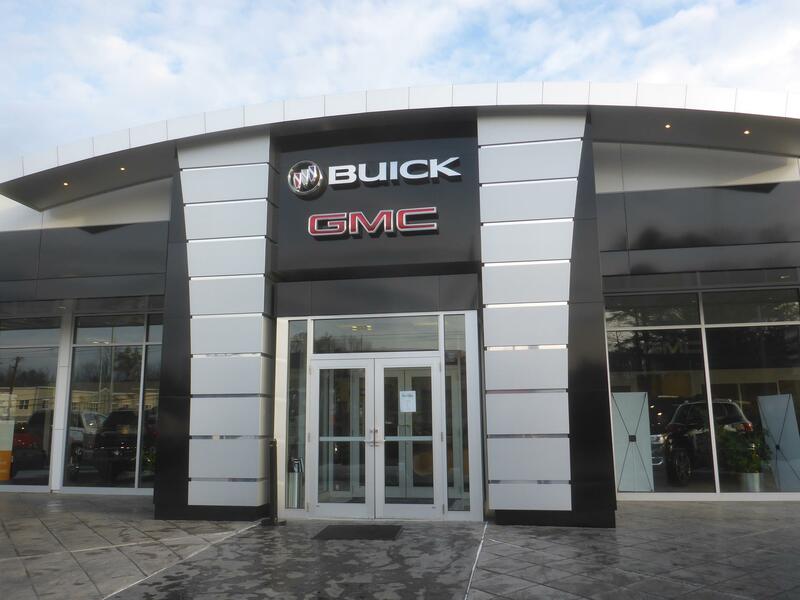 With leased signs at individual locations and a reactive maintenance program in place, GM was experiencing challenges keeping everything up to standards. The reactive maintenance program was aging, along with many of the signs in operation—some that were more than 30 years old. It became clear that General Motors would have to find a new way to provide service and maintenance to their nationwide dealerships. 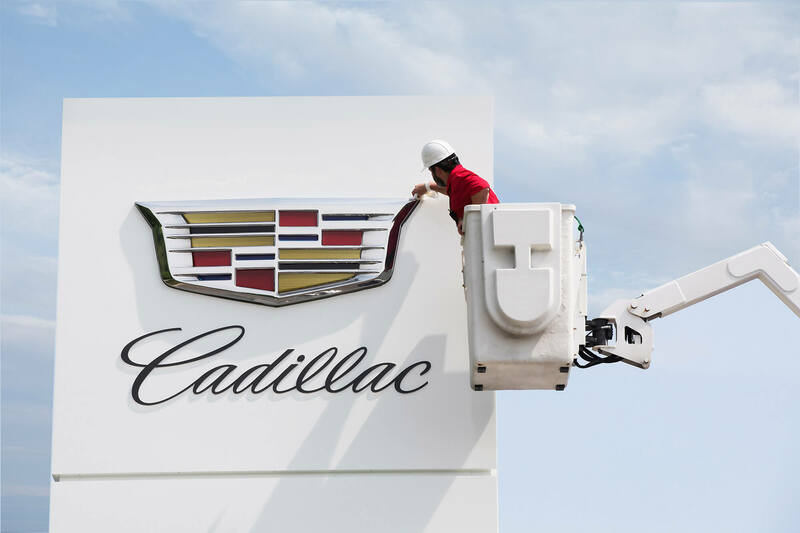 GM challenged us to develop a nationwide preventive maintenance plan that would drive down escalating maintenance costs, extend the life of its existing sign program and ensure the GM brand always looked its best. We knew the program would require a great deal of coordination with dealers to ensure day-to-day operations were not disrupted as we scheduled routed preventive services and upkeep. We created an all-inclusive maintenance program that packaged annual preventive visits with unlimited, on-call service. During each annual visit we documented sign condition, reported all structural damage to facilitate repairs, performed electrical inspections, replaced any components with preliminary signs of failures, cleaned sign faces, painted pole bases and even instituted a re-lamp program. GM was impressed with our comprehensive service, and in 2011 AGI was named the sole supplier for all GM sign maintenance programs. 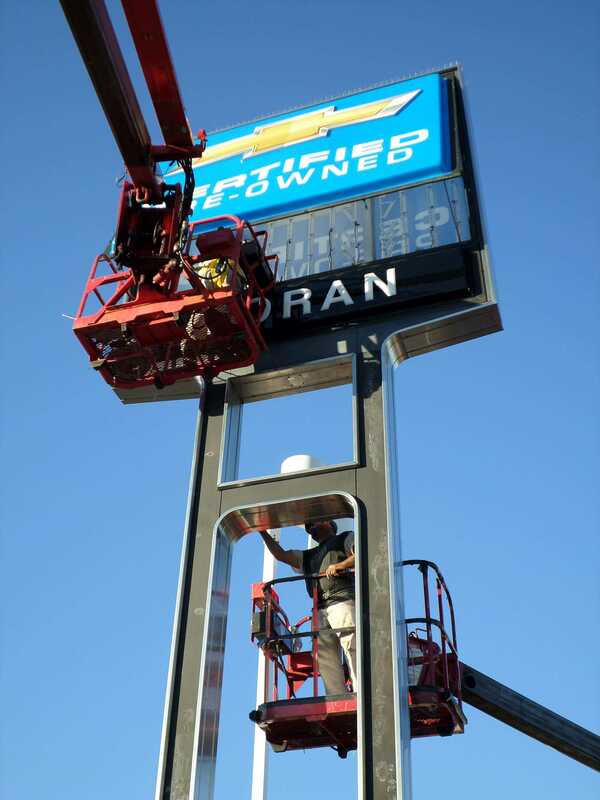 Since then, we’ve continued to provide exceptional service and upkeep at every one of GM’s nationwide dealerships. In part due to our successful maintenance program, AGI was named GM’s Vendor of the Year in 2015, 2016 and 2017. In the first year, the total volume of reactive service calls were reduced by 30%, yielding an overall program savings of more than 23%. With those kinds of savings, it’s no wonder GM saw the value in our comprehensive maintenance and service program.